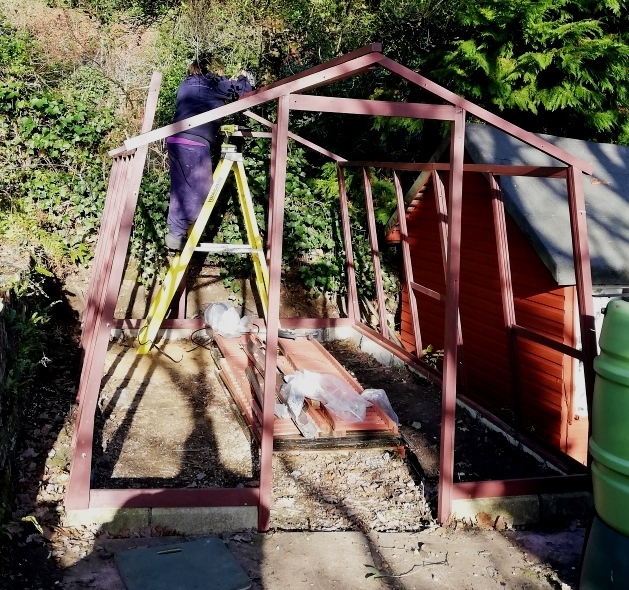 We specalize in the repair and restoration of timber greenhouses more commonly found in gardens such as the cedar buildings made by Alton Greenhouse and C H Whitehouse. 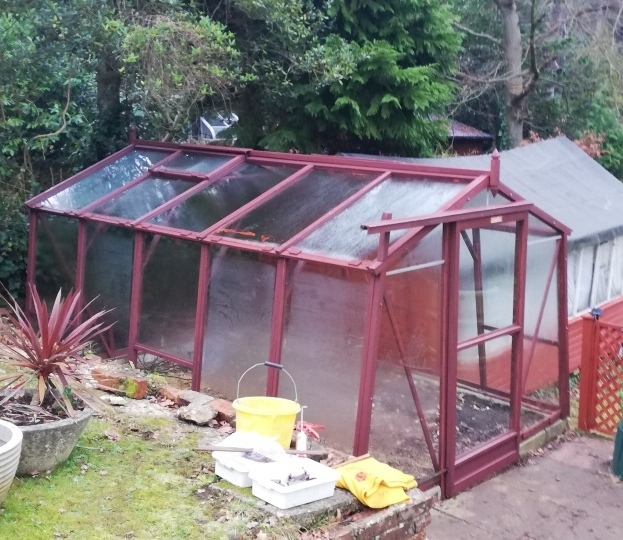 Over the years we have developed a specialism for Alton Greenhouse Repairs. We also restore and repair most makes of aluminium framed greenhouses. We can take a tired, rotting greenhouse like this. Restore it back to this. It is the same greenhouse, photographed 14 days after the picture above was taken. Every rotted piece of timber was replaced. All Timber was striped back to new wood. Every screw, nail, bolt & hinge was replaced. The non working auto vents were repaired. The whole frame was treated with a spirit based wood treatment.Then Finished in two coats of a finishing oil. The full restoration cost for the above greenhouse Was just £1450 all inclusive and there is no cost to dispose of the old greenhouse. On larger greenhouses the savings are even greater. Once quoted we stand by our price and can normally complete the work before most companies can deliver a replacement. Here the greenhouse is test fitted to make sure all the work has not altered the critical dimension. Whilst ndergoing restoration all the timber is cleaned back the fixings and screws replaced. All the old paint from an earlier attempt to improve it by the client removed and all rotted wood is cut out and replaced. All the work plus the modifications is still over £1400 cheaper than buying a new replacement and delivered in 10 days which is quicker than it could be replaced with a new one. About Our Cedar Greenhouse Repair Work. A cedar framed timber greenhouse is a beautiful addition to any garden. The warm tones of the wood means it sit sympathectically in with almost any garden scheme. They are produced by a range of manufacturers and sold on th einternet and from garden centres. 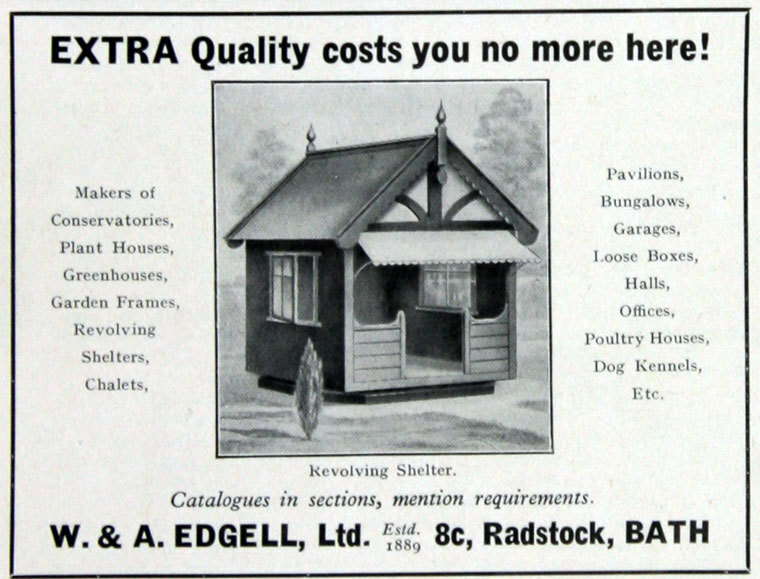 C H Whitehouse and W & A Edgells but all deliver that warmth and charm. 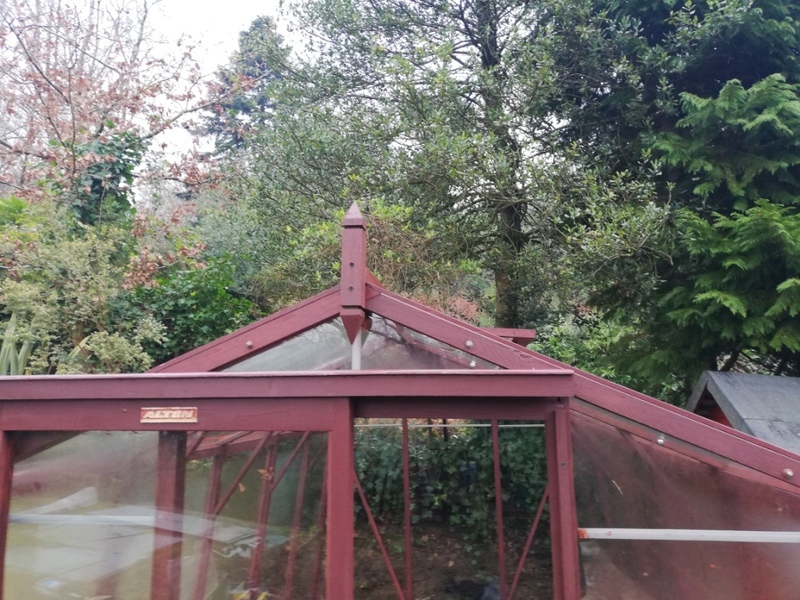 We have restored all shapes of greenhouse from lean-to designs, the traditional apex frame from all makers, the iconic Alton Amateur with its sloping sides as well as their octagonal cedar greenhouse. Also the less common C H Whitehouse Hexa-light greenhouse. Of course the greenhouse may be in use protecting your tender plants, for this reason we can supply a temporary greenhouse whilst the work is undertaken. We are always up front with costs and we are more than happy to visit and provide an itemised quote free of charge. If we think you are better served buying a new one we will always say so. We also do not pester with calls back or spam emails chasing for work. We do take on their restoration and of course we can fit or replace broken glass with new, both horticultural and toughened safety glass along with all the clips and stays if required. maintaining and getting a greenhouse ready for the new season is the same whatever the material. Restore the greenhouse back to its original condition. All of the above have merit. Perhaps a new buildings is required because it would be larger or smaller. equally minor repairs such as replacing broken glass can be made relatively easily. 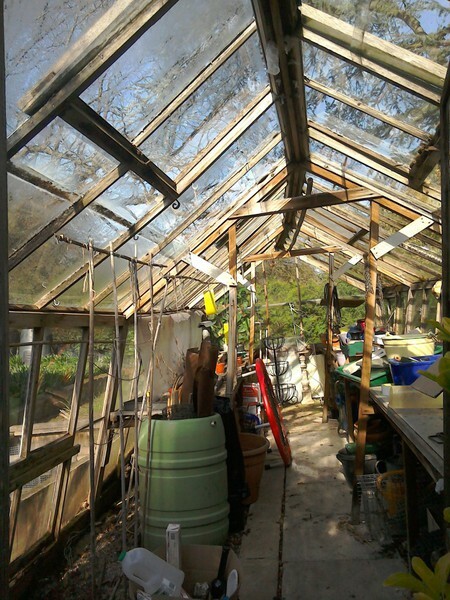 However as in the case of the greenhouse shown above some need a bit more work and only restoring them will return them back to the way they were when first purchased. There are two principal timbers used in comercially produced greenhouses. Cedar which is a very resilient timber and Redwood which is a very hard timber from the pine family. Nowadays you will also see Spruce and thermowood being touted but sonme caution needs to be exercised when considering buying a greenhouse made from these materials. The most common issue is that as wood ages it is exposed to fungal decay or is attacked by insects. Most people assume that cedar is rot resistant but this is not true. As it ages the resistance is lost and if not replaced it will decay. Redwood although very strong needs to be protected otherwise the rot will take a hold and destroy your precious greenhouse. The issue with some modern greenhouses and garden buildings is that they are produced using material that is a cheaper alternatives to the above. However to work even moderately well they require extreme care in production otherwise they have very little resistant to the elements. 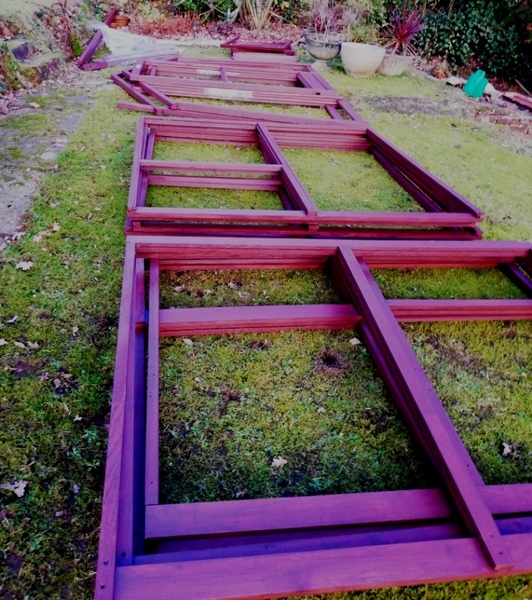 Thermowood for example CANNOT be used within 200mm or 8 inches of the ground but you can buy a greenhouse made with it where it is taken to ground level. Spruce which needs to be pressure treated for ecxternal use if cut needs to be retreated as the treatment is in the form of a shell so any break of this such as a joint or cut destroys the protective surface and again it will rot and very quickly. Some common faults are rotting eaves rails, especially with the Alton Amateur grenhouse, this is where the roof meets the side frames. They tend to rot where the blocks that secure the glass in place are fixed to the frame. Frame timbers rotting especially around old steel fixings. As the timber rots the buildings can take on a lean or start to loose their glass which rapidly accelerates the issues if not addressed. Sometimes the failures are through poor maintenance and age but in most cases the issues are as a result of the way the greenhouse was built in the first place. The market place for wooden greenhouses is very competitive and manufacturers are constantly looking to cut cost to make the product affordable and protect profit margins. Inevitably these 'cuts' will impact on the durability of the greenhouse. It goes without saying that you should look to buy the best greenhouse that you can afford. Be wary of dubious claims and compare the details for example. With Cedar there are various grades, ideally you want at least western red cedar GRADE 2 CLEAR OR BETTER. if they don't state they are using it then they probably aren't. Instead using standard grade 2 or worse. Cheaper grades will not last as long and are not as strong or durable. Glass options normally are standard horticultural glass or glass that has been treated to make it stronger. Toughened glass is superb and is 4mm thick and 5 times stronger than standard glass. If they say they are using 3mm toughened glass it is probably really STRENGHENED GLASS WHICH IS NOT THE SAME. Importantly it is only twice as stong as basic horticultural glass and nowhere near as strong as 4mm toughened glass. Look for suppliers that recomend a concrete base. Some nowadys are using aluminium bases fixed straight to the ground as used on the conventional aluminium greenhouses. This puts the lower frame in close contact with the ground and will encourage rot. Many manufacturers are now using aluminium capping on their greenhouses. In truth if the timber is a good grade as above and you maintain it every 4 years (which is actually very easy) then it will last for decades. It is down to taste but we feel it is a shame to cover what is a beautiful timber in aluminum coloured or otherwise. Equally aluminum and wood expand at different rates, Aluminum expands in hot weather and shrinks when it is cold or wet. Wood however shrinks in hot weather and expands when it is cooler and wet. This means that the joint between the two (nromally screws) is constantly moving in opposite directions and can ultimately weaken. look companies that will deliver and install for a fixed cost, yes you can do it yourself but in truth many find it a far more challenging than the supplier would suggest. A company that offers as standard to make and installs it own product will naturally be experts at installing it and generally use their own people rather than outsourcing to free lance individuals. As with all things spending a little more up front will pay dividends further down the line. So why Restore and not simply replace? Any timber building can be repaired or restored. Timber is environmentally friendly and its use doesn't create or add to polution. Old timber tends to be slow grown and seasoned naturally over many years, Old timber greenhouses tend to be made from hiogher grades of timber that some of the more commonly produced one today. 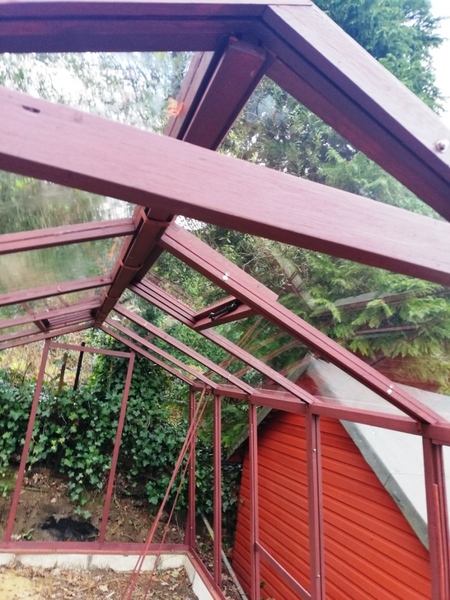 The reality is that the frame may be rotted in places but most of the glass is intact and the timber can be replaced and repaired. Consider that a new 10 foot by 8 foot cedar greenhouse today at its cheapest will be around £2500 plus with erection at another £300+ and disposal of the old greenhouse costing a few hundred pounds with most of the material going to landfill (most councils do not salvage glass sheets at waste tips) You will be looking to spend around £3000 to £3500. of course you could pay to have it removed and install one of the many aluminum framed greenhouses now produced. At the flimsy budget end we are looking at £800 - £1000 and they are certainly not comparable in looks and style to a timber greenhouse. Of course there are better quality aluminium frames and for a good quality make with a powdered coated frame you are more likely to spend £2500 to £4000 to replace it. What we propose is that you look again at your old greenhouse. We can restore and completely rejuvenate your old building for far less a new one and in most cases for about the same cost of a mid range but not top quality aluminium one. More images of common issues all can be solved. Our approach is therefore to take your greenhouse back as much as possible to its original condition, Using as much as we can of the original. Repairing, replacing and treating the elements so that it can once again shine in your garden. The process is labour intensive typically over 100 hours of work but in most cases 60 -70 perecnt of the origianl frames are saved and 75 perecnt of the glass. If we have a large broken pane we often save it and cut it down to replcae a smaller broken pane. 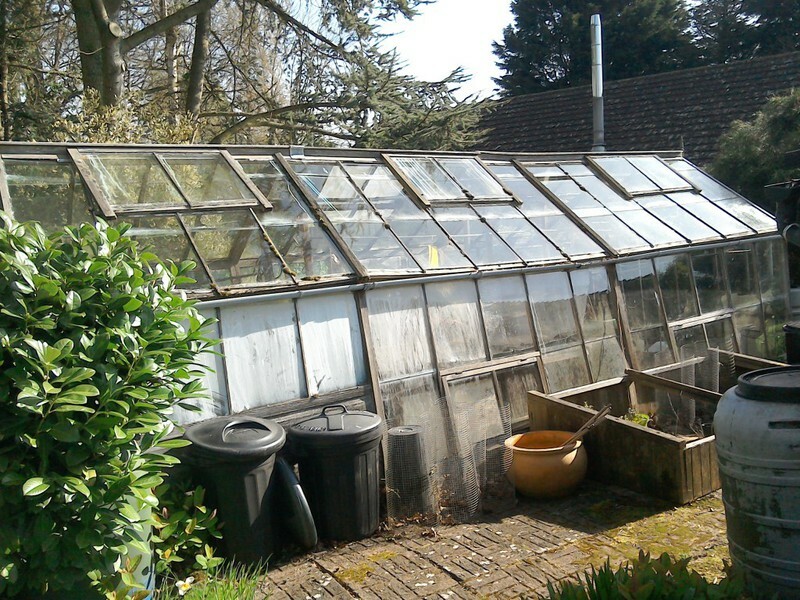 Shown here is the iconic Alton Amateur greenhouse now no longer available. Once back on site the building is reasembled normally in one day and left ready for use. No mess, no fuss and a lot less than a new building. If you want it moved we can also do this and even modify it if required. Vunerable elements such as eaves and ground rails are replaced with a hardwood timber machined and stained to match. Free Loan of a temporary greenhouse. Of course we wouldn't leave you without a greenhouse for those tender plants especially over winter. As part of the service if requested we will erect a temporary greenhouse in place of the greenhouse being taken down. We will also offer advice on what can be done to maintain your buildings, Sometimes this is simple additions of guttering and quality timber treatments. Through to simple modifications on buildings to channel water away from vulnerable areas such as installing aluminium or rubber overlays at the most susceptible places. cutting back overhanging shrubbery or digging away piles of rotting vegetation. What you finish up with is a building that is often better than when it was first installed. 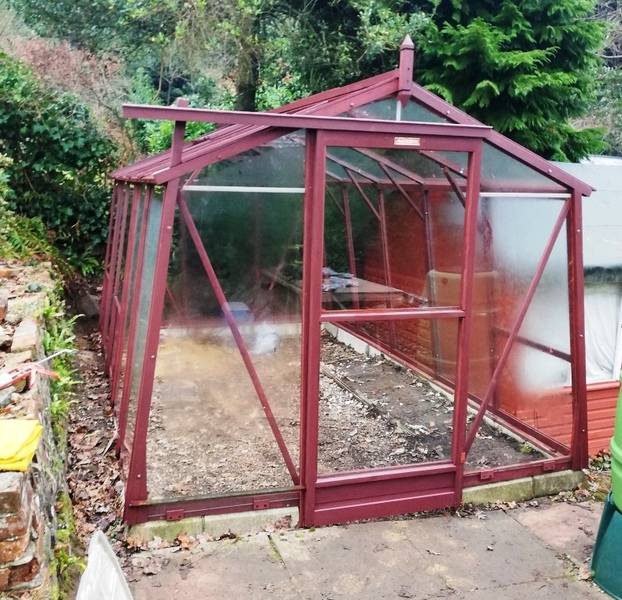 This little Alton amateur greenhouse was inherited with a house purchase. The frames were so rotted we had to tape them together to remove them from site but most of the glass was intact as was the unique Alton kerb stone foundation. I recieved a phone call at work from my husband after you put the greenhouse back up. He said it was stunning, in all the years we have been married and all the work we have had done he has never done that. Believe me it is quite a complement from him. The first and most crucial element is to carefully take the greenhouse down. Preserving the glass and doing as little damage to the frames as possible. Here again we have the Alton Amateur greenhouse. Once back in the workshop, the frames are first dried in prepartion for the restoration and repair to start. This can mean up to a week (especially in winter projects) in a sealed room fitted with de-humidifiers that draw the moisture out of the wood. This is crucial because any moisture left behind will be trapped by the finish coat and inevitably can be the start or continuation of the rot problems. Most eaves rails (where the glass finishes at it lower level) have either plastic or metal straps holding the glass in place. These invariably create holes through the timber. We replace such damaged rails with a hardwood alternative custom milled. Once fitted they are indiscernible but will last much longer than the original did. We also custom machine hardwood glass stop blocks in place of the plastic blocks often encountered which many will know do not last very long. The blocks are left in timber treatment for several days prior to use to totally saturate them. A crucial part of our work is to remove all the old metal fixings and screws. Plain Steel fixings always corode badly in Cedar some to the point of being completely dissolved. Even galvanised screws and nails will rust away. 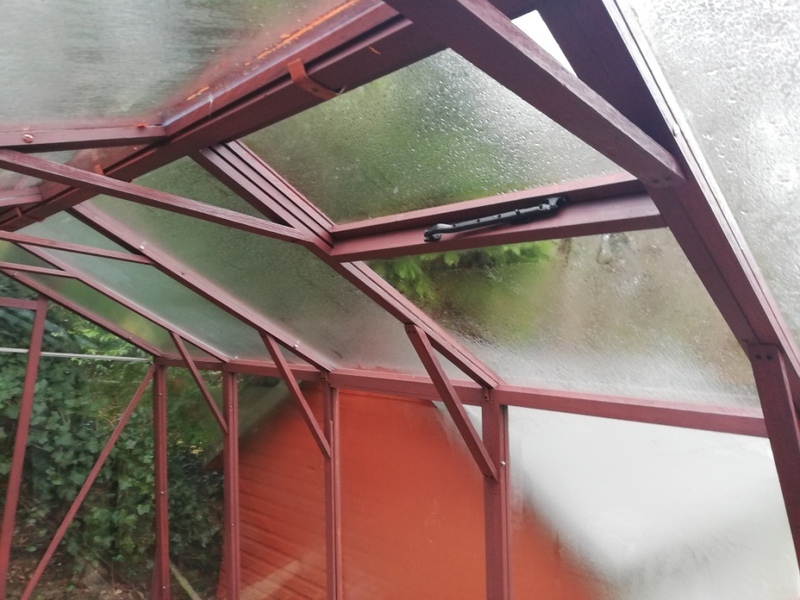 With most greenhouses we work on they have normally rusted through and if left in will stain the timber and worse still, will cause the joint to fail. With the fixing removed the joint can be pulled apart showing the true extent of the damage. Elements beyond repair are replaced but often the joint can be repaired. EVERY SINGLE FRAME IS STRIPPED BACK TO ITS COMPONENT PARTS. All the timber is cleaned back by machine, hand planing and sanding to remove the algae and oxidised top layer. This gives a surface for the finish to be applied. We always treat timber with a Transparent spirit based Timber Treatment (not a cheap wood preserver - they are different) in preparation for reassembly and finishing. Here you see before and after. Once complete all the frames are finished as desired by the client. Here it has had several coats of a heavy exterior oil for timber that feeds and nourishes the wood. We do also paint in a choice of colours if requested. see the examples below. They normally then sit for several days in the workshop to completetly dry before returning to site for installation. We document and photograph every part of the process so that you can see clearly what we found and what we have done. Most of what we do is 'BAREWOOD' restoration. That is to say the finish is a clear a semi transparent finish although we do paint if requested. A key point with barewood restoration work is that there is no where to hide. Anyone can apply woodfiller and mastic which can then be totally hidden behind a thick layer of paint. We have been to many where just such a repair has been used even concrete used to fill rotten areas The client is often totally unaware assuming that it had been repaired properly. We aim is to be totally transparent about the work undertaken. Fully restored and returned back to give many years service. 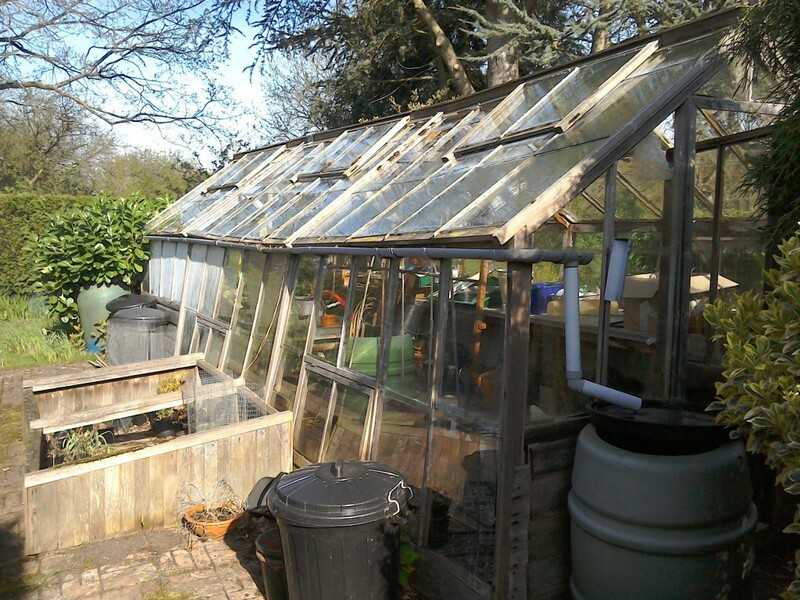 So before you condemn your old greenhouse, is it not worth considering getting it restored ? There are many sites on the internet that say that after a while it isn't commercially viable to repair a timber greenhouse - most of these site also happen to sell new greenhouses, we don't take this stance and yes we do make greenhouses. We have never walked away from one and never encountered one that we couldn't save. Most importanty it was ALWAYS cheaper than buying a new one. Here are just a small selection of some of the greenhouses we have brought back to life and what the client made of the experience. This Client had tried four other companies who all said it was beyond repair...... It is a very large example of a C H Whitehouse greenhouse . Inherited with a house purchase, The building was leaning so badly that the client refused to go into it. However it was restored back to its original condition and even relocated in the garden. Everybody else said it was beyond repair, we are so glad we found you, just to go inside and feel the warmth and space is special and the smell is amazing. From very large greenhouses to more common smaller builds we have not turned one away yet and most restored at far less than the cost of a new building. A tree bow had fallen on it breaking several frames and the ridge bar as well as most of the glass. Replacement was in excess of £2500. Repair and restoration was half that. but it has to be said you lived up to that claim. This is a typical example of a greenhouse inherited with a house purchase. 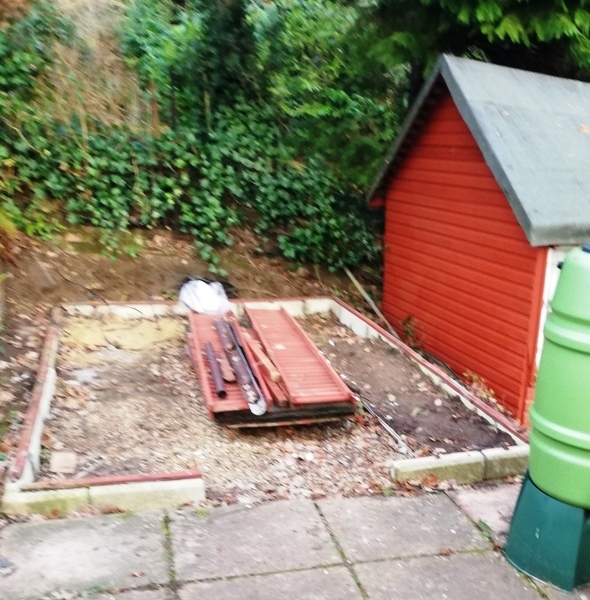 The client had never even owned a greenhouse before and certainly not a timber one. It was rotting at the base and the glazing was seperating in the roof. She was having building work undertaken and was advised to knock it down. Thankfully she called us and we were able to restore it back again. She has since become an accomplished gardener and regularly holds open garden days. 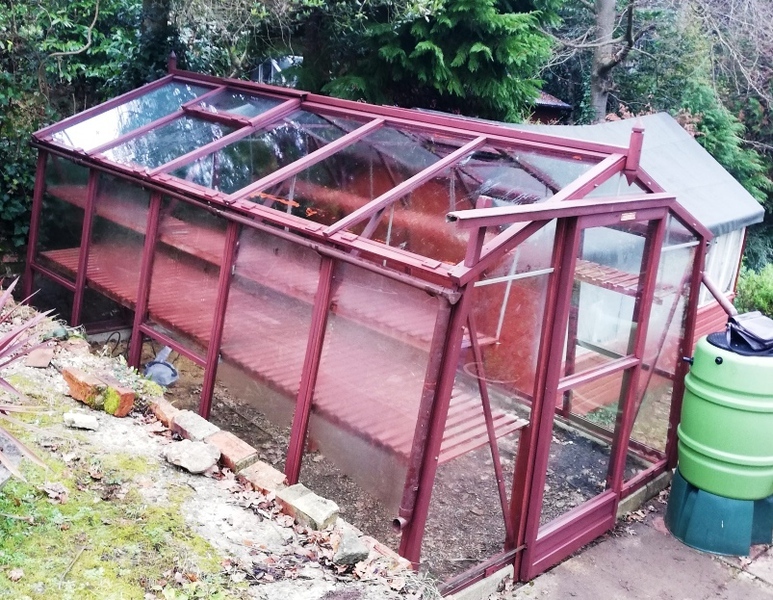 This greenhouse was 25 years old and soil had collected against the rear and side completely rotting the lower 400mm (16 inches) of the frames such that it was only the glass buried in the soil that was holding it up. Like all Alton amateur greenhouses it has the iconic shape that is inherantly strong and stands on the unique concrete kerb system that were sold with the greenhouses. You said it would look like new but i disagree... it actually looks better than when it was new. This Very old greenhouse had stood at the edge of a wind swept field for years The glass gradually being stripped off by the wind. Destined for the waste tip.......could we save it? Of course we did, plus The client wanted it to be moved into a new more exposed location and asked for a system that allowed them to easily change glass should it break. The solution was that we installed the glass with custom made hardwood blocks to clamp it in place these can be simply unscrewed to remove a pane of glass. Here the client had thoughtfully collected glass from other greenhouses and also supplied reclaimed oak boards that were used in the base. Some of the oldest we have done are from the Edgell's company, They are generally 80 years+ old but can be made to look as good as new as with these two examples. greenhouse 1 : Who would have guessed that hidden in that derelict pile of wood was such a beautiful greenhouse. Greenhouse 2 : I have always wanted a timber greenhouse, it was a small part of the reason we purchased the house. I just love my restored building.